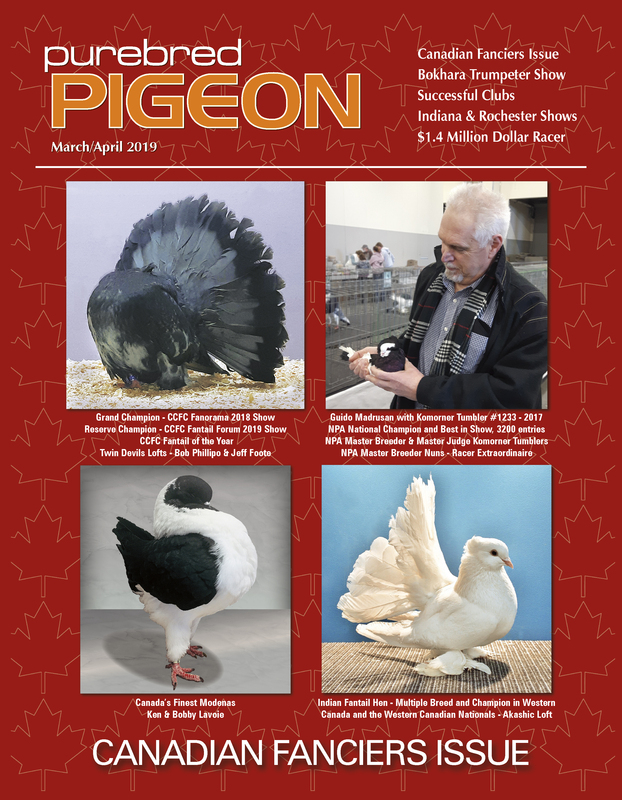 Our March/April 2019 issue features Canadian Fanciers and Clubs. Please accept our apology for the delay with the print version! whatever your interest, it's in Purebred Pigeon! 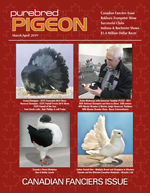 Shows - Coverage of the major pigeon shows - NPA National, National Young Bird show, Pageant of Pigeons, Des Moines, State shows - with color photos and on-the-spot interviews; large specialty meets; Pigeon Show Calendar; International shows. Anything and everything about Fancy Pigeons. 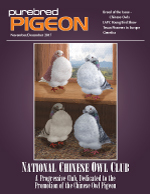 Performing - Flying Tipplers, Rollers, Parlor Rollers, Doneks, Vouta, Kelebek, Poltli – any pigeon breed that performs. 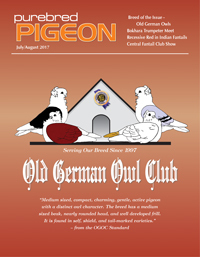 Plus - General pigeon care, genetics, in-depth interviews, international pigeon shows, history of the sport, racing, health care and club news. 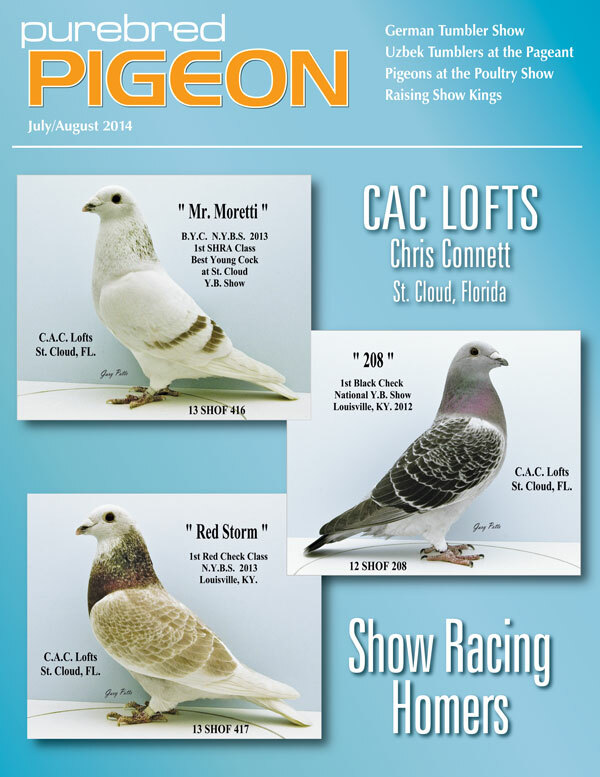 Photos of breeds not seen in the U.S.
for Six Full Color Bimonthly Issues. Purebred Pigeon is now available ONLINE! The entire magazine - for your desktop, laptop, tablet or phone! Then go to our SUBSCRIPTION PAGE to buy! See our Back Issues page. 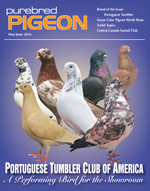 Is your pigeon club or group considering a Breed Special? 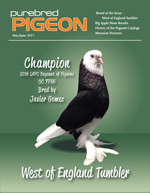 Click here for the Purebred Pigeon "Breed of the Issue"
On-line Classifieds - Find breeds and clubs or advertise your birds! 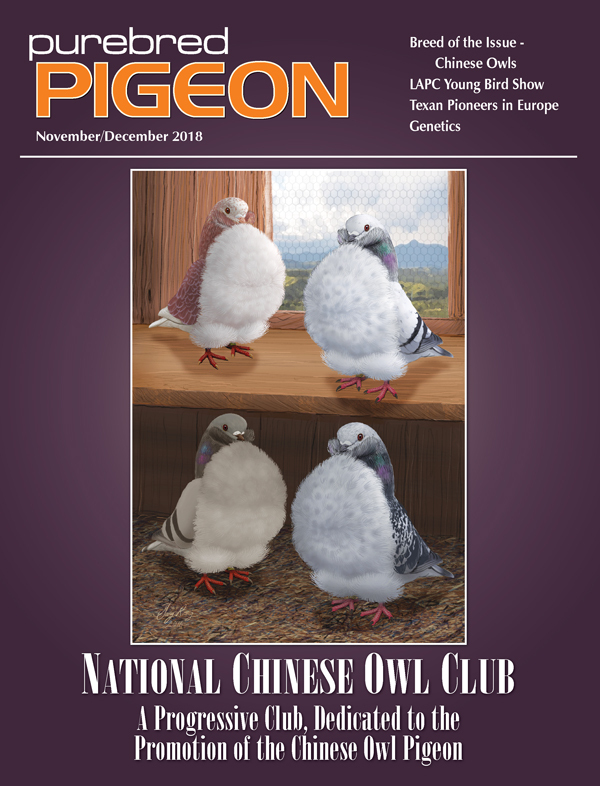 © 2019 Purebred Pigeon - published six times per year from Goodlettsville, Tennessee, USA. All rights reserved. P.O. 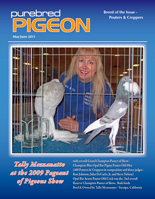 Box 2089, Goodlettsville, TN 37070 USA - staff@purebredpigeon.com or 615-851-9674 - Produced & printed in the U.S.A.